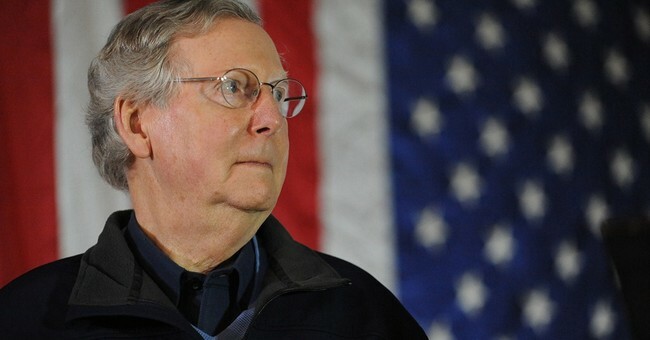 Senate Minority Leader Mitch McConnell has been announced as the winner of the GOP nomination for Senate in Kentucky, beating tea party-aligned businessman Matt Bevin. Bevin and others had accused McConnell of being insufficiently conservative. "We congratulate Senator McConnell on his victory and urge Republicans in Kentucky to come together to defeat Alison Lundergan Grimes," said SCF Executive Director Matt Hoskins. "We thank Matt Bevin for standing up for conservative principles and giving voters a choice in this race. Now it's time for Republicans to unite for victory in November." It remains to be seen if SCF's urge for unity will extend to Bevin. Bevin had previously left it an open question as to whether he'd commit to endorsing McConnell in the general election against Democratic nominee Alison Grimes.